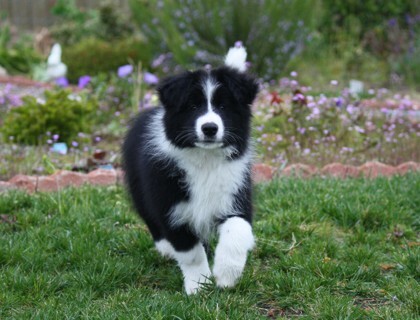 Dexter flew in from NSW and is an absolute delightful. He has matured into a stunning boy. He was shown quite a bit as a youngster and now occasionally as a mature boy but showing isn't his favourite thing to do, so he doesn't do a very good job of showing himself. He is however very passionate and good at sheep herding. 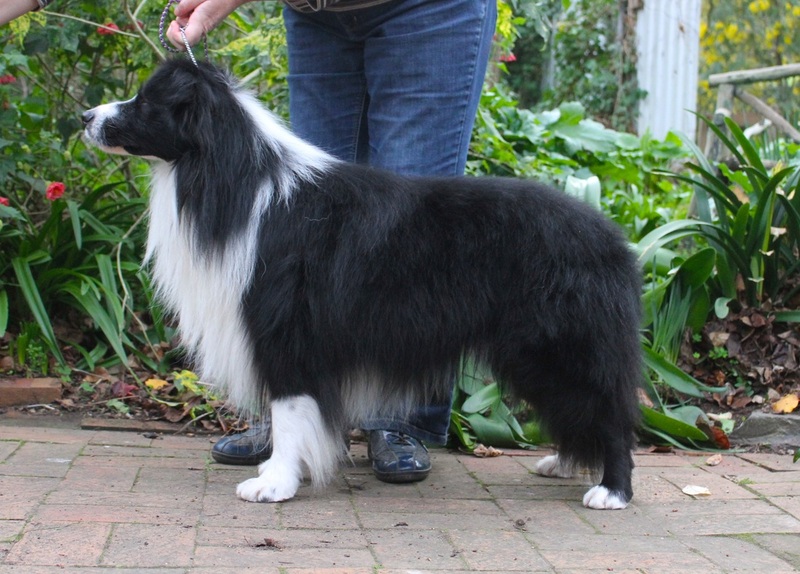 He has received a herding instinct certificate and Pretrial title 'PT'. His best friends are Esme and Jayde who has lots of fun with. He has put some really lovely puppies on the ground. 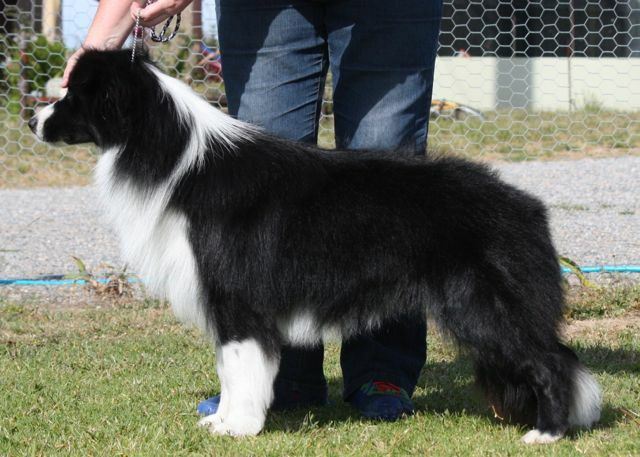 Shazam (his daughter) is still young but really moving well in the show ring and looking just lovely. Dexter being cute for treats. 3 years old.